Oh Yammer, what’s going on? Life hasn’t been easy on you. First of all, your existence is questioned by SharePoint guru Wictor Wilen, and in January reports were published about Yammer Customer Success Managers being fired. The other day a customer asked me: “Does Yammer have a future?”. And it’s not just customers: during the Q & A at Unity Connect Amsterdam 2015, many questions from the audience were about Yammer. These developments and many questions inspired me to share my thoughts and feelings about Yammer as a social platform. Does Yammer have a Promising Future as a Social Platform? Does anyone have a crystal ball to look into the future? No, nobody does – and if you do, hand it over right now! Joking aside, in regards to the question of whether or not Yammer will still be here in five years, nobody can really answer it. Technologies and services come and go. That’s the nature of the world we live in these days. Personally, I definitely see a future for Yammer as a social platform. We have many customers who really benefit from using Yammer. Last year, I held a presentation for our customer Joolz. Their sales team was struggling to receive valuable information and input from sales members all over Europe. 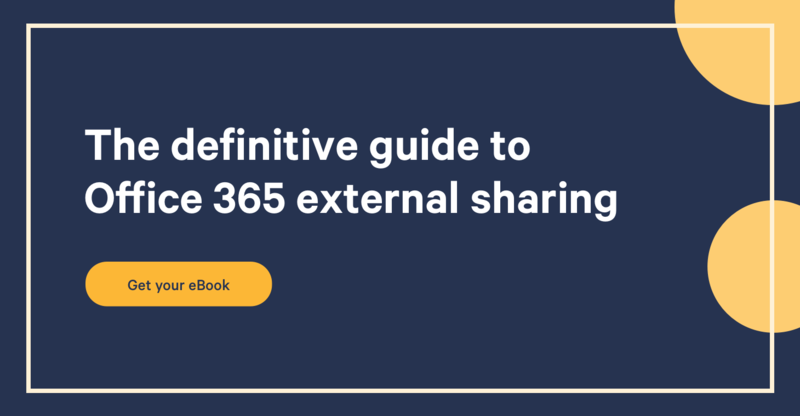 Yammer was already available through their Office 365 subscription. So why not use Yammer? After one presentation that demonstrated the ease of the platform, it was quickly adopted and, to this date, is still a huge success. This gave me hope and inspiration to keep spreading the social message, and promoting Yammer to our customers. Yammer is easy to use, has a familiar look and feel, and comes with features even non-savvy techies understand. Just think of mentions, hash-tags, adding pictures, and posting questions. The platform really connects people from different departments or geographical locations. The marketing term ‘breaking silo’s’ isn’t exaggerated, it’s really true. Many times, I've seen it unfold in front of my own eyes. Does this mean Yammer is perfect? No, definitely not. We are still missing basic features, such as editing your post or marking all your inbox messages as read. Let’s not forget about the lack of profile integration between the Office 365 and Yammer profile. Search? Don’t even get me started, still not very impressive. Let’s take a closer look. Believe me, business users are never going to maintain two profiles. The Delve Profile is the way forward. It’s modern, interactive, and useful in day-to-day work. Another trend that occurred has been moving Yammer features to other Office 365 services. Praise, a long time Yammer feature, was announced to be added to Delve Profiles. Let’s not forget likes and mentions. Since 2015 these have been integrated into Outlook Online. This lack of integration, combined with moving Yammer feature towards other Office 365 services, has caused an avalanche of sceptics, and critiques that just never really fade or goe away. We recently installed Slack internally and are starting to investigate the use of the tool. You have to be prepared for changes in the market. When it comes to technology, customers expect honest advice to solve their business scenarios. Does this mean we are going to sell Slack? No, not at all. But, let’s be honest, you can’t walk around with a ‘Microsoft only’ mindset anymore. Just look at the Windows Phone. Yes, Microsoft created the Windows Phone, but does this mean you should use it because of that reason? No! You pick the device that works for you and your customers. In my case, the iPhone of course. The same rules apply for other services or platforms. Look at your business requirements and pick the right service or platform. My goal is definitely not to bring down the mood people! So let’s look at the positive side of things. Microsoft is definitely still committed to Yammer. Recently Microsoft announced rolling out Yammer to all Office 365 tenants. Also, Microsoft uses Yammer as their main communication tool with customers and partners through the Office 365 Yammer Network. Microsoft product managers are actively answering questions and providing us with the latest news and developments. Our customers love using the App for iOS and Android to directly share valuable information. The Apps are constantly being updated with new and improved features. To Yammer or not to Yammer? That’s the question. My two cents? Check your own or customers' business requirements. As I pointed out, the integration between Office 365 and Yammer isn’t great, and it's far from perfect, but this definitely doesn’t mean you shouldn’t use it. There are plenty of business scenarios where this lack of integration isn’t an issue. Look again at our Joolz case: Yammer quickly connected people all over the globe with each other. We didn’t need to build any custom code. The platform was there, out-of-the-box, ready to be used! In itself, Yammer is a very powerful service, capable of quickly solving business scenarios and bringing people together. Are you looking for a tightly integrated platform with Office 365? Really look closely at the possibilities, but also shortcomings, and decide for yourself if Yammer is the choice for you.